Active Listening Technique from JSG + Exclusive Content NOW via Patreon Offerings! Welcome to February, my chickadees! Many think of February as the month of love due to Valentine’s Day. But for many of us, every day is a day for amoré! In an effort to switch things up for fun while at the same time give you stellar content, I have just released the second educational burst podcast! In this new series, I will review various techniques that help ANY healthy relationship in short educational bursts. This episode is a quick, easy to digest ten minutes long, yet it is filled with healthy, loving relationship goodness! In episode 72, I review one of the techniques – Active Listening which I also discuss in my book “Jealousy Survival Guide: How to feel safe, happy, and secure in an open relationship,” in Chapter 6. This technique is at the heart of great, compassionate communication. There are three levels of listening described here in this episode with our goal being the last: Active Listening. If you try this out in your life, please feel free to email me and let me know how it goes! — Video – Occasional Video Bursts, some entertaining, some educational, some to tell you have AWESOME you are! 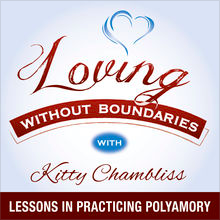 — BONUS 30-minute Coaching Session: Feeling stuck in your relationship? As our “Kickass” Patron, you get one FREE 30-minute coaching session. Email me through my website with “KICKASS PATRON COACHING SESSION REQUEST” in the subject line, and I’ll hook you up! — BONUS 45-minute Coaching Session – Feeling stuck in your relationship? 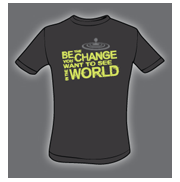 As our “Rock Star” Patron, you get one FREE 45-minute coaching session. Email me through my website with “ROCK STAR PATRON COACHING SESSION REQUEST” in the subject line, and I’ll hook you up! — You Get the Say! 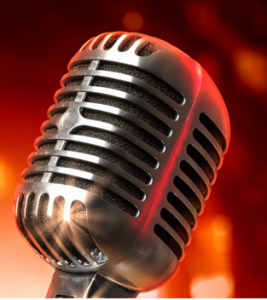 – You get the ability to ask questions to be answered on the show! What burning questions do you have that you’d like to see answered on the show? Ask away! — “Tickets” to see Kitty record live — I’ve been the mysterious voice behind the podcast for so long – why not invite you – our top patrons to watch me in action as I record the show? — Invitation as a top Patron to be a Guest on LWB – Wouldn’t it be cool and super meta to have one of our biggest fans of our podcast BE on our podcast? Come join us! We dare you! Email me through my website with “LWB BFF PATRON PODCAST INTERVIEWEE” in the subject line, and I’ll hook you up! — Signed “Jealousy Survival Guide” Print Book – An autographed full color print copy of my book “Jealousy Survival Guide: How to feel safe, happy, and secure in an open relationship.” Email me your mailing address through my website with “LWB BFF PATRON JSG PRINT BOOK” in the subject line, and I’ll hook you up! — Custom-Created — Kimchi Cuddles Portrait – Check out our amazing polycule portrait created by the incredibly talented Tikva Wolf! — BONUS 1-hour Coaching Session – Feeling stuck in your relationship? As our “LWB BFF” Patron, you get one FREE 1-hour coaching session. Email me through my website with “LWB BFF PATRON COACHING SESSION REQUEST” in the subject line, and I’ll hook you up! Lindsey Ellison – founder of Start Over. Find Happiness. … and many more exciting guests in the works! Badda-Bing-Badda-BOOM! These podcasts are all awaiting you and more! With your patronage, we can cover our monthly expenses to pay for our talented sound engineer, podcast broadcasting fees, recording equipment, and the time to find fantastic interviewees, and record / promote the interviews with world-renowned authors, coaches, educators, and authorities in the fields of consensual non-monogamous relationships and polyamory. Your continued support of gathering and sharing these interviews for your enjoyment can be made possible with your generous support of just a few dollars! Do you want to join in on the fun to get exclusive content, contest giveaways, and special discounted rates on coaching packages by becoming a Patreon member with Loving Without Boundaries? Will you help keep the LWB podcast going giving you stellar content and fantastic guests? Come join the party! See you there! Poly Living Philadelphia: February 2–4, 2018 — I am absolutely thrilled to be going to my first Poly Living Philadelphia conference, and it’s about time since it’s my hometown! I cannot wait to meet some new friends in person for the first time, such as Kevin Patterson, Nolan Lawless, and Ruby Bouie Johnson, as well as see relatively new friends from this great community of ours, such as Michael Rios, Lee Hencen, and Murray Schechter. It will an exciting weekend for Eagles fans (of which I am one) as the following day, our Birds are flying at Super Bowl LII! Fly Eagles Fly! Namasgay (Seattle, Washington) with Frank Marci: April 20–22, 2018 — Hey spiritually-minded LGBTQ friends — big news! 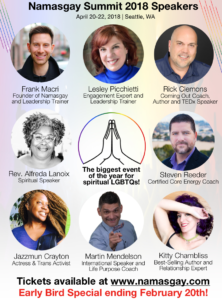 I was selected as a speaker for the upcoming Namasgay Summit this April 20-22 in Seattle and would love for you to join us! The Summit will feature some highly-acclaimed LGBTQ spiritual leaders that will share insights for you to start living with deeper meaning and purpose. The Summit is a gathering of soulful, positive LGBTQ people and a great opportunity to make new, life-long connections. If this sounds like something you’d be interested in, grab your seat before they fill up at www.namasgay.com/pages/summit. SPECIAL OFFER: If you use the code “KITTY” at checkout, you’ll receive 25% off registration! I hope you can join us for what will be a fun and transformative weekend! If you have any specific questions, you can direct them to Frank Macri at support@namasgay.com. RelateCon (Boise, Idaho): April 27–29, 2018 — RelateCon provides a unique and supportive gathering place for polyamorous people to connect as a community through educational workshops, social spaces, and opportunities for networking. The core value of this conference is to empower healthy relationships across a myriad of configurations. I will be giving two presentations at this year’s RelateCon: “The Effects of ‘The Poly Closet’ on Metamours, Ex-metamours, and Pivot Partners” and a brand new workshop based on my “Jealousy Survival Guide.” I hope to see you there! Wishing you peace, love, and happiness!